We love talking about New Zealand. As our home base, it’s our favourite country in the world and we’re pretty damn lucky to have grown up in a little slice of heaven. We apologise to people we meet while travelling how much we go on about it, but that’s because we love the country so much and we just want everyone we come across to experience it! One of our favourite topics of conversation is on less touristy things to do in New Zealand – there’s the touristy stuff like bungy jumping in Queenstown or whale watching in Kaikoura (which are both fantastic, by the way), and then there’s the other stuff that many people may not know about. So we’ve put together a small list of suggestions (by no means exhaustive) of off-the-beaten-track things to do in NZ. Camp at the Kohaihai DOC (Department of Conservation) campsite at the far northern end of the West Coast Road in Kahurangi National Park at the top of the South Island. 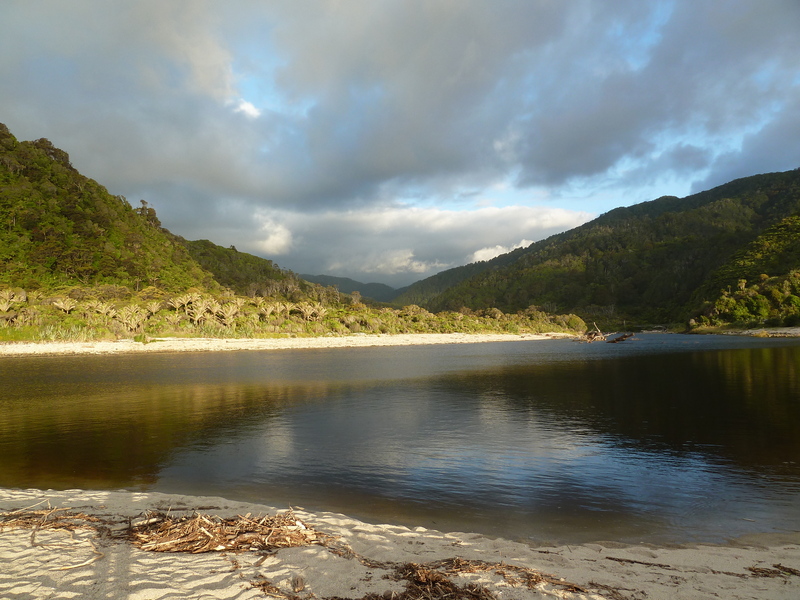 Incredible camp site and you can walk the end of the Heaphy Track if you so desire! Lots of sandflies – beware! 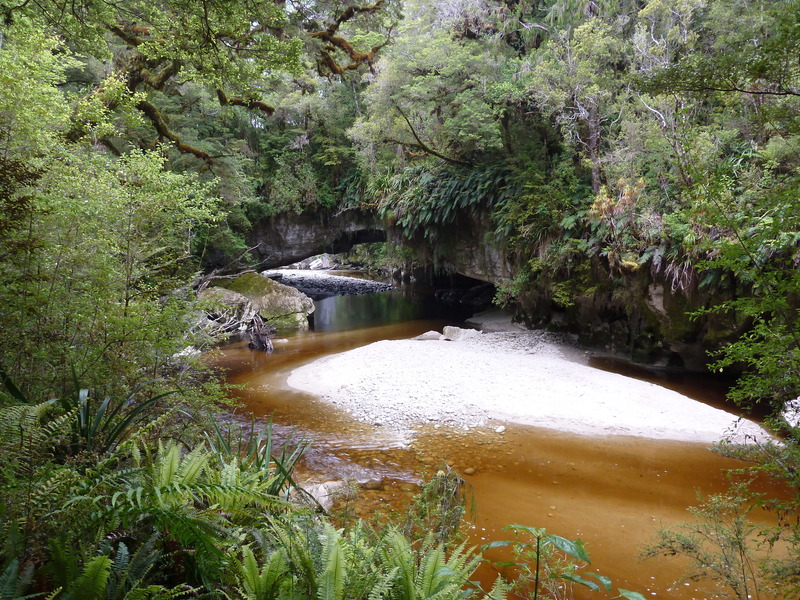 Explore the Oparara Basin caves – absolutely wicked caves with rivers stained with tannins running through the forest. Be careful on the access road though, it says no campervans – it means no campervans. It’s a very narrow, steep and winding road. 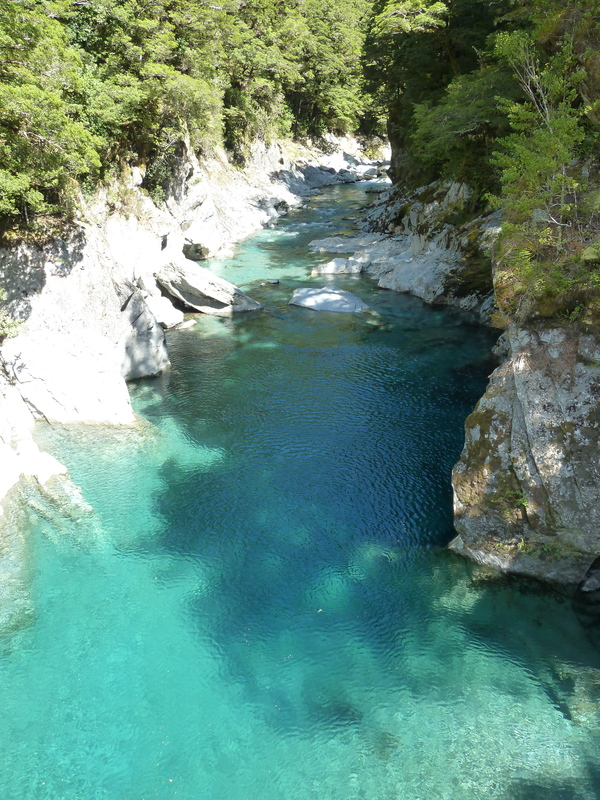 The Blue Pools are near Makarora, which is the place on the eastern side of Haast Pass (the road you take to go from Wanaka to the West Coast). Pull off into the carpark and walk ten minutes through the beech forest and you’ll come out at the blue pools – stunning, sparking, icy pools. Take a picnic and skim some stones! Camp at the DOC campsite at Spirits Bay, Northland. Head towards Cape Reinga and branch off to the right at Waitiki Landing. 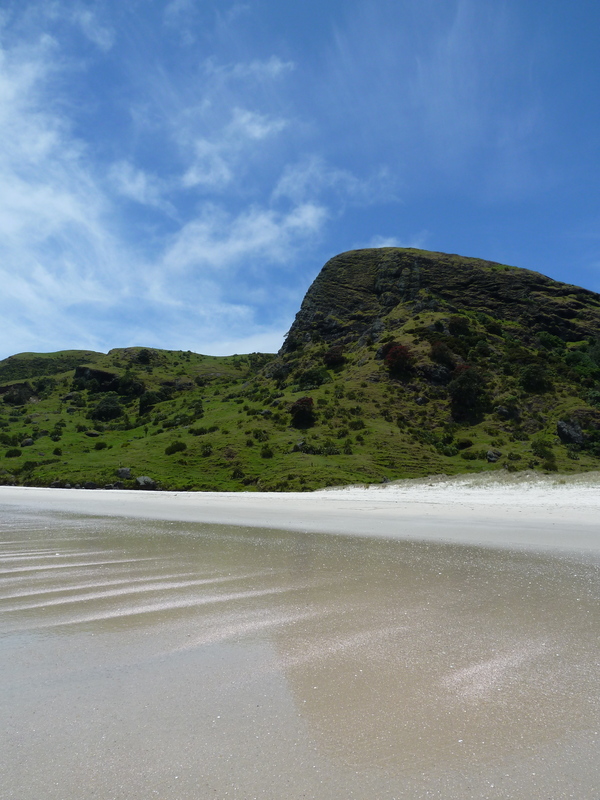 Spirits Bay has crystal clear warm ocean to swim and a perfectly located campsite, and no houses in sight. Drive up to the top of Te Mata Peak, near Havelock North in the Hawke’s Bay, at night time. There’s a secret camping spot at Te Arai Point, north of Auckland and out east from Wellsford. 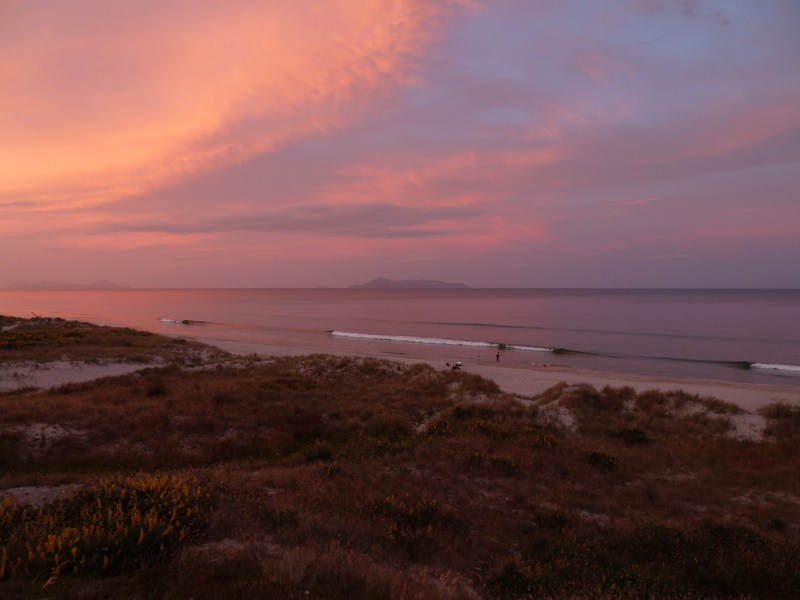 The beach is beautiful, the sunsets are stunning, and best of all the camping is free! Head to Clevedon Farmer’s Market, about half an hour southeast of Auckland city, for delicious locally-grown food. There are other great markets at Matakana, Oratia, and a few within the city too. See our other posts on things to do in New Zealand! Most of all, enjoy kiwi-land and all it has to offer! I’m currently travelling in NZ at the moment, so this is pretty useful information! Going to Blue Pools next week and Spirit’s Bay looks fantastic. Thanks! No worries! Blue Pools are awesome! Have fun!